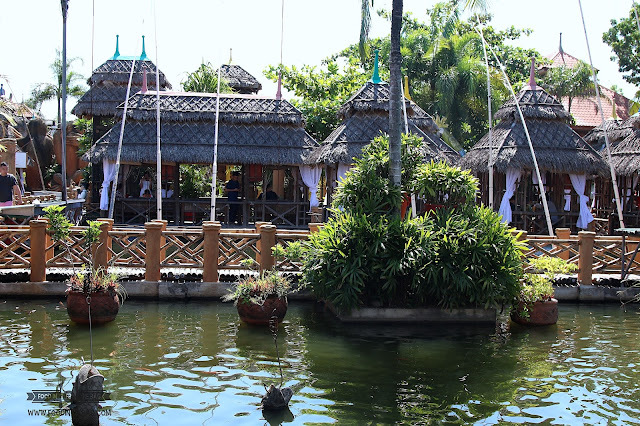 The first and original ISDAAN restaurant could be found in TARLAC. Aside from the newly opened ISDAAN in Nueva Ecija and Laguna, this was basically the birth place of this concept. 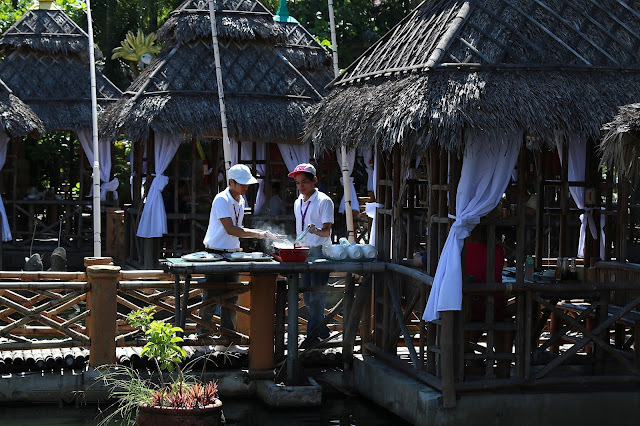 "Floating" cabanas serve as the place to eat at. Guests have the option to take their pick. Either stay at one end of the restaurant resort or maybe somewhere closer to their live entertainment. 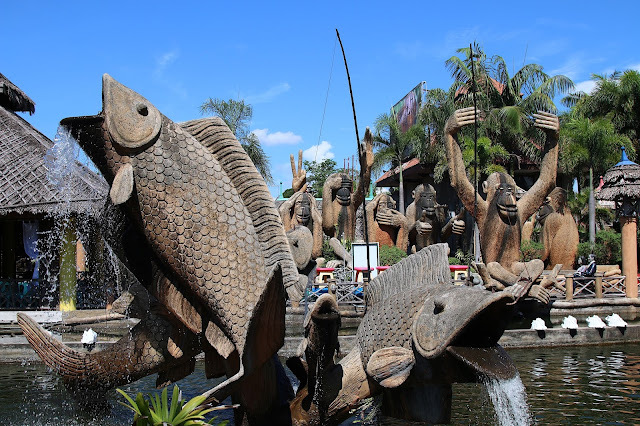 There are a lot of huge statues and play areas that would be perfect for a snap or two. Kids would also enjoy the different giveaways that the restaurant has in store for them. From parlor games to various small toys, you let your kids indulge. 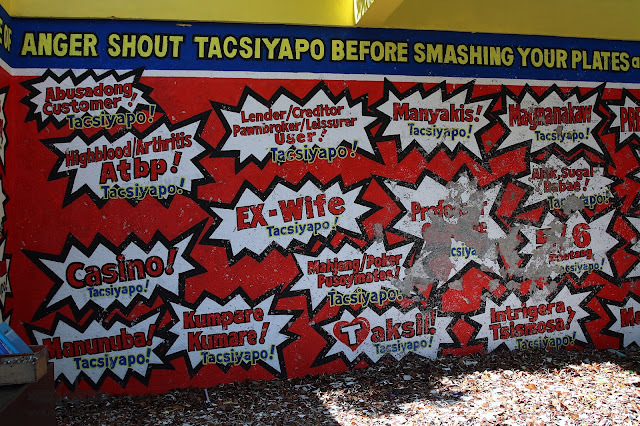 Adults, on the other hand, could vent out their frustrations at the Tacsiyapo wall. Get a couple of dishes and throw it at the wall just for the heck of it. It's a nice stress reliever. The staff would take care of everything. 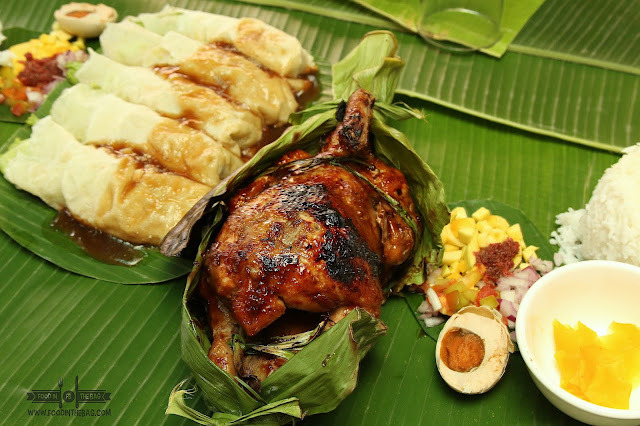 After ordering, they set up the dishes and could even have it done "BOODLE FIGHT". Meaning, each dish would be laid out in a long table. Banana leaves work as the plates and you get to eat with your hands. It gives a sense of brotherhood. One could go for a variety of dishes. 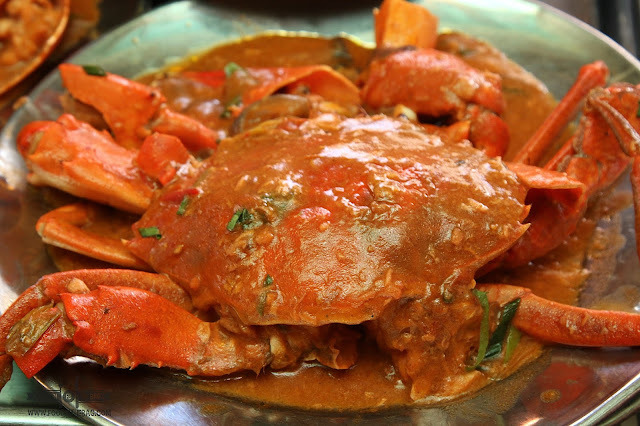 Crabs are popular and so as other fresh seafood. 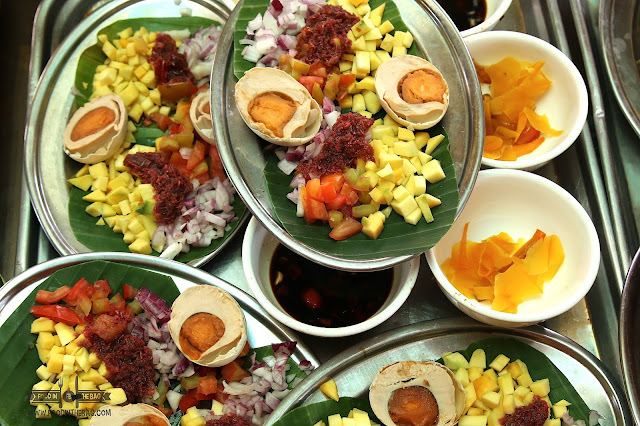 The Filipino version of a salad works great as well since grilled dishes are must orders. Patrons should not miss the opportunity to try out their version of the chicken. 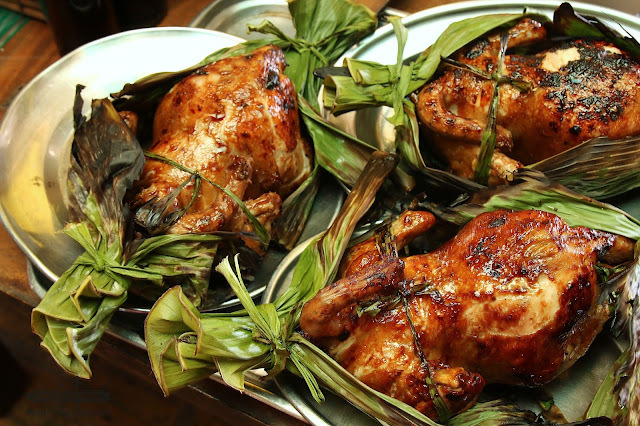 Cooked in banana leaves and marinated with coconout juice, you get a sweet and tender meat. ISDAAN has been known to serve dishes that are perfect for sharing. Having a resort type restaurant gives off that relaxing feel. 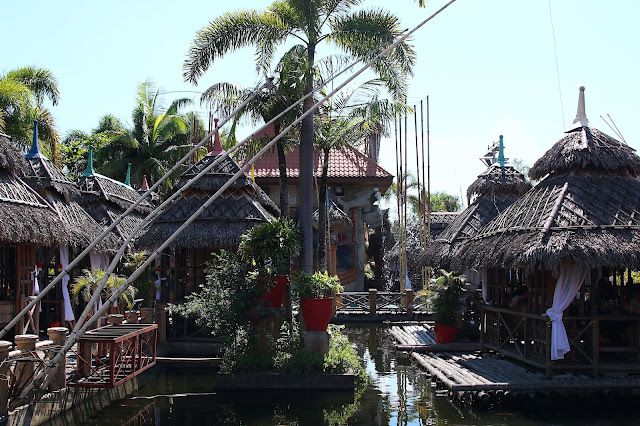 When you're in Tarlac, why not give it a go?